It turns out that dusk is almost as elusive to capture from life as sunrise is. And if it was a snowy day, dusk is grey not blue. I had to wait for sunny days to get the lovely blue dusk and then it was all a very flat blue. 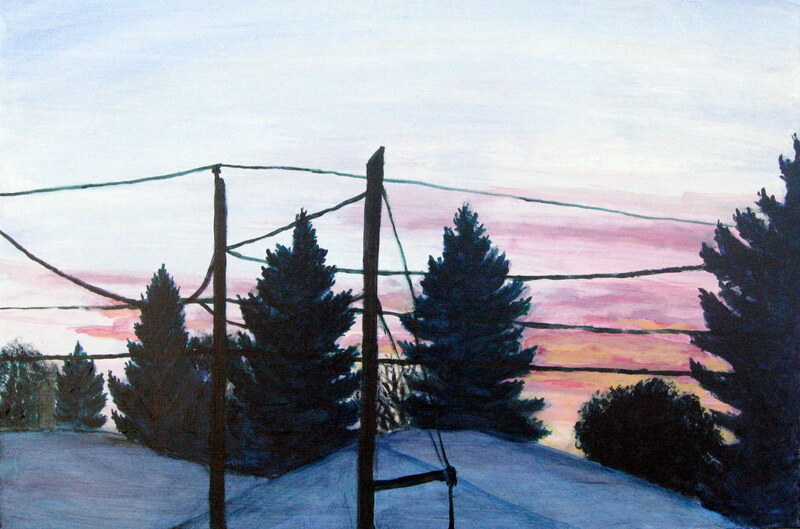 Finally last night there was some wisps of white cloud and a blue dusk so I frantically redid the sky. I love it. I’ve been thinking about a dusk painting since I started these. 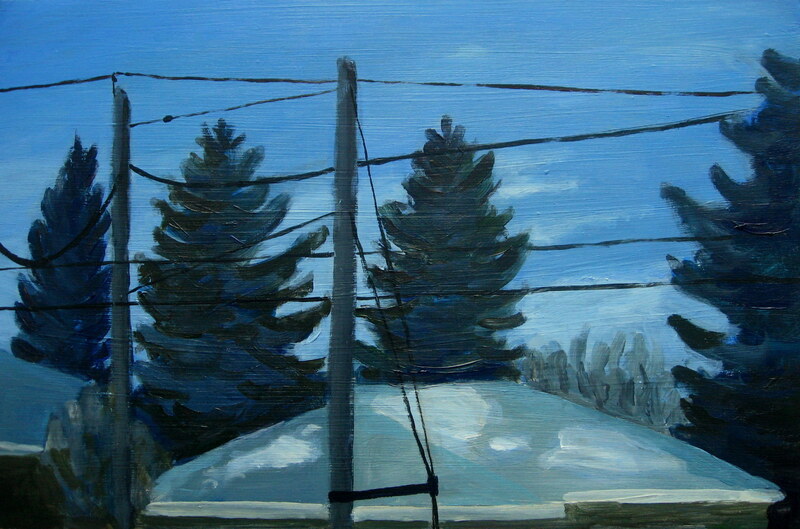 I now have a dawn painting and a dusk painting (see below). Everyone may be getting bored of these “backyard landscapes” but I have plans for them—I’ve got a few more paintings to do before that happens so just sit tight. Right now I’m in the midst of applications and submissions that I have yet to hear back from (hence no post the past couple of weeks but more on that to come). ← Penguins don’t wear pants. This new painting looks very nice. Even though it is dusk, it appears luminous. I like it very much. I wonder how the backyard would look like at night?